I’ve been working on a book on flea control treatment and am amazed at all the news out there about flea and tick products and issues. This work should be available within a week or so. Not too long ago, a research report on a new option for flea and tick control was published. It suggests that a new monthly pill would rid cats and dogs of fleas and ticks for one, if not up to two, months. Spot-on flea products have come under scrutiny over the last few months which is disturbing to many pet owners because they use them to control fleas and ticks by applying the drops on the skin of their dogs and cats–so the publication of this study is well timed. Some animals react adversely to the current spot-on flea treatments while they seem ineffective on others–and the ecto-parasites may eventually develop immunity to current medications. Merck funded the research on the drug called nodulisporic acid and the preliminary report indicates that it effectively and safely killed fleas and ticks in dogs and cats. The drug could be administered as either a pill or in a solution, making it easier to administer with some animals. After being administered, the drug kills insects as they feed on pets since the poison works as the parasite digests the animal’s blood. Many of the current flea and tick treatments expose insects to poison when they alight on a pet’s body and/or bite and pose a variety of risks to humans and pets. The drug is in the early stages of development and cost factors and availability have not been determined. The research for this new flea and tick pill is promising, but it’s still, as you said, a “poison.” I’m not sure I feel any better about using something systemic vs. using a topical product. 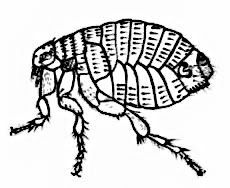 That being said, since there are so few effective natural alternatives available to combat fleas and ticks, it comes down to evaluating the risks of currently available flea control products vs. the risks of diseases caused by fleas and ticks. I read the report but it is too early to tell what the final verdict will be. Anytime you use insecticides on animals it should be as a last resort.